The mother of a 13-year-old girl found murdered in Burnaby, B.C., will get a Mandarin interpreter so she can understand what's going on in court involving a man accused of the crime, the Attorney General's Ministry says. The mother of a 13-year-old girl found murdered in a park in Burnaby, B.C., has requested a Mandarin translator so she can understand court proceedings, and a judge has recommended the province fund that request. 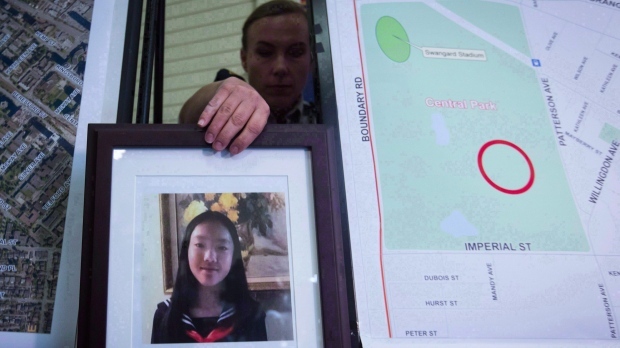 A man charged in the death of 13-year-old Marrisa Shen appeared briefly in a Vancouver courtroom Friday as dozens of supporters of the girl's family watched from the gallery or protested outside. 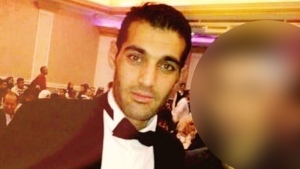 The Syrian refugee accused of murdering B.C. teen Marrisa Shen seemed like a “normal guy” in the time between her death and his arrest, according to a family friend. A man has been charged with murdering a 13-year-old girl whose body was found in a Metro Vancouver park over a year ago in a crime that caused people in the community to feel unsafe, police said Monday. 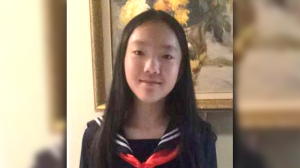 On the one-year anniversary of 13-year-old Marrisa Shen's murder in Burnaby, B.C., her family and the police are pleading with anyone who may have information to come forward. 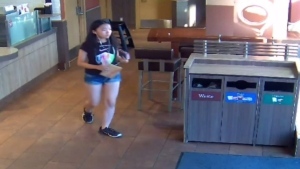 Homicide investigators say they want to talk to anyone who recognizes suspicious behaviour that could help identify the suspect who killed a 13-year-old girl in a "random attack" in Burnaby, B.C. Six months after a 13-year-old girl from Burnaby, B.C. was murdered, police say they have combed through over 1,000 hours of video and have identified 1,000 people for further follow up. Police say the death of Marrisa Shen, the 13-year-old girl whose body was found in a park in Burnaby, B.C., was the result of a random attack. Family, friends and others from the community of Burnaby, B.C., were on hand Saturday night to pay tribute to Marrisa Shen, the 13-year-old who was found dead in a city park.